The staff at Better Minds Group are trained and licensed mental health and psychological professionals focused on improving lives through brain training and therapy. Dr. Brian Barkett, the Founder and President of Better Minds Group, believes that adapting to this technological revolution blowing the winds of change at gale force is the great challenge of our time. People like predictability. Yet, culturally, we live in an ever-changing, world. The internet is speeding up and challenging the how we live and interact. Keeping pace with work, family demands, financial demands, political turmoil, and information overload can be, at times, overwhelming. More and more people come to our office exhausted, quietly experiencing burnout. Dr. Brian is a board member for Mental Health & Recovery for Licking and Knox Counties. He is an American Psychological Association and Ohio Psychological Association member. Dr. Brian is a licensee of the Global Consulting Partnership. Niki Brown, MSW, Licensed Social Worker, is a fountain of warmth and empathy. Moreover, she uses her gifts to bring peace and balance to the lives of those with whom she works. Niki's early experience has been with at-risk youth and their families, developmentally disabled adults, those who are homeless, and those suffering grief and loss. Niki earned her Masters in Social Work at The Ohio State University with a concentration in counseling. She did all of this while being an actively involved wife, mother, and community member. Niki’s training, experience, and contemplation has taken her to a holistic orientation. She focuses on people’s tremendous capacities for self- healing. She compassionately assesses her client’s situation within the context of their Mind, Body, and Spirit. She will help you reconnect to your intuition; your buried inner wisdom, with life-affirming confidence. Niki, was attracted to us because of our use of EMDR and eeg-biofeedback. She is trained in EMDR therapy. So, if you are looking for the whole package- smarts with heart, you have found Niki Brown. Josh Blaz is a senior at Denison University completing his degree in Computer Science. Josh helps keep out technology dependent practice running well. He’s also an All-Conference Lineman for the Big Red football team and a Color Commentator for the Denison Sports Network. After graduating, he’s interested in furthering his career in the Cybersecurity industry. As a paramedic’s daughter, Beth Salzwedel, LISW-S grew up experiencing, first hand, the cumulative toll being a first responder draws on these extraordinary everyday heroes. Beth spent the past few decades of her life and career focusing on helping people heal from the emotional scars this life can inflict. At the same time she watched how first responders lived by a code of silence, refusing to seek outside help. Now with the opioid crisis, their burden multiplies. First responders are expected to repeatedly see more horrors, and do much more, without a corresponding increase in resources. The weight is too great; the trauma they carry extracts too great a price on them and their families. So now Beth is taking her years of experience, unflagging compassion, and life-long commitment to learning, to respond to the acute needs of our valued community members. Amy Davis, M.A., Licensed Social Worker, knows from personal experience the joy, challenges, and heartbreak of raising adopted children. Amy spent fifteen years as a Certified Adoption Counselor for several different adoption agencies in Licking County, Ohio. Fourteen years ago she and her husband adopted two children, one through foster care, and one internationally. Amy’s personal experiences add an everyday understanding of the unexpected consequences that come with adoption and foster care. She helped form, in her church, a support group for parents with foster and adopted children which offers understanding reinforcement to many well meaning families. A life-long learner, Amy achieved her Masters of Arts in Counseling from Liberty University in 2017. Following graduation, she spent a year in community mental health working with children and adults. Amy sought training in EMDR and was also drawn to Better Minds Group because of our use of EMDR and eeg-biofeedback. Now with us, Amy is realizing her dream of working with adoptees of all ages and background. Abbey Mayne is a junior Psychology major with a interest in neuroscience. Abbey is in her second year with Better Minds Group. She has been instrumental in helping us switch electronic record systems. She assists with Neuroptimal Neurofeedback training, and data entry. Her hard work and good spirits are a pleasure to behold. Liz brings heartfelt presence and deep listening in addressing your concerns and creating solutions. She supports you in cultivating resilience, building stronger mental health, and more skillfully managing problems of daily living. Trained as a clinical social worker and a board-certified art therapist, Liz works like an painter with a palate, designing your individualized therapy experience. She combines talk therapy and art therapy to help you create the healing and growth you seek. Liz incorporates positive psychology approaches and neuroscience to support sustained wellness. No artistic skill or experience is needed to benefit from art therapy. Liz is a member of the American Art Therapy Association and the Buckeye Art Therapy Association. She has taught undergraduate Art Therapy for 10 years, and has presented professionally for a variety of audiences. Her personal art work focuses on landscapes, nature, and portraits using pastels and acrylics. 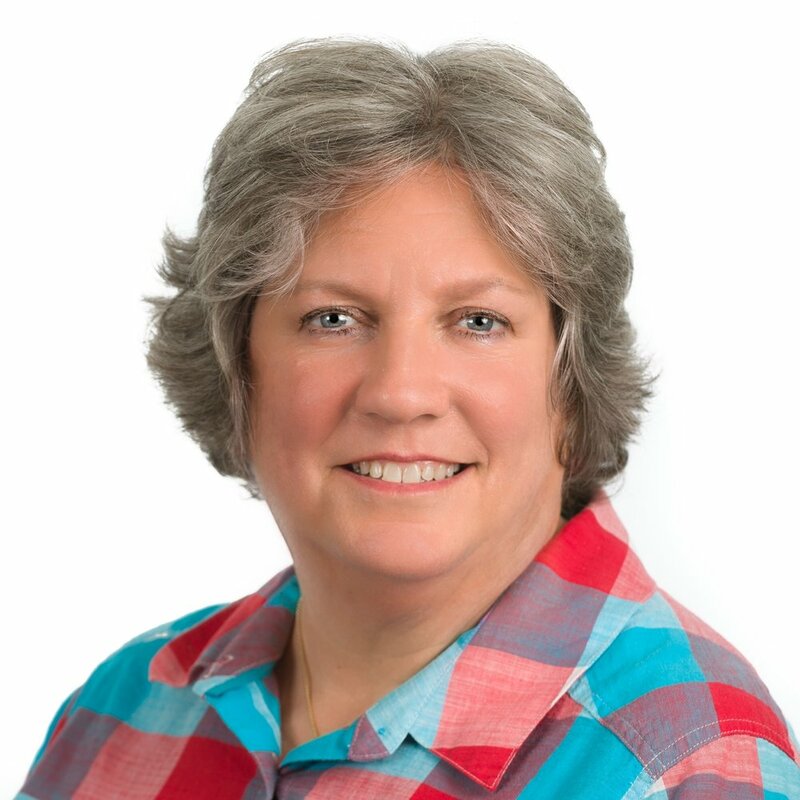 Maureen Barkett (she likes being called Reen) spent the first phase of her career as an accountant and CPA, having worked for Big Six public accounting firms and Fortune 500 companies. In 2016, Reen, through the pleasant pleadings of her husband, Dr. Brian, left the corporate world to join Better Minds Group. We now have her accounting expertise, process thinking, business skills, and breath-taking level-headedness, to make the operations side of our enterprise run more smoothly. She, and we, could not be happier.